From the pen of the prolific writer Tony Grounds (Chancer, Family Business) comes a seriously gritty tale of a British Army medic thrown in at the sharp end of life in Camp Bastion and the beautiful country of Afghanistan. 1 star for this long winded and dreary detective series. 5 stars of hilarious good versus evil antics. 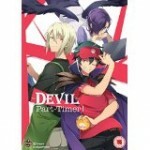 The Devil Is A Part Timer! is based on a Japanese light novel by Satoshi Wagahara and tells the story of King Satan, a Demon commander who has reigned over Ente Isla with an iron fist, bringing nothing but death and destruction to the people of that world. 4 stars of fantastic fish-flinging fun. 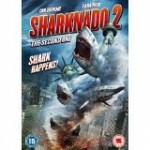 Sharknado 2 is written by Thunder Levin (Sharknado, AE: Apocalypse Earth) and directed by Anthony C. Ferrante (Headless Horseman, Boo). Now available on 3D Blu-ray! Saving Santa is set in a future where the demands on Santa (Tim Conway – SpongeBob SquarePants) have increased and he has been forced to employ technology in order to ensure that he can reach everyone in one night. 3 stars of grisly but a bit silly horror. Grave Halloween is written by Ryan W. Smith (Mr. Young) and directed by Steven R. Monroe (I Spit On Your Grave 1 and 2, The Wonder Years). 4 Star Martial Arts Magic. 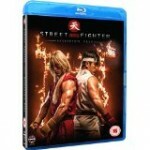 This takes the Street Fighter franchise to the next step.